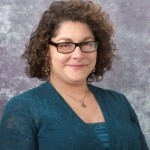 Amy Goldstein, MD is a Child Neurologist at the Children’s Hospital of Pittsburgh, where she is the Director of Neurogenetics and co-Director of the Neurofibromatosis Clinic. She is an Assistant Professor of Pediatrics at the University of Pittsburgh School of Medicine, where she attended medical school. Dr. Goldstein has had a special interest in neurogenetic and neurometabolic disorders since her Pediatric intern year. She has been a member of the Board of Trustees of the United Mitochondrial Disease Foundation, and on the medical advisory board for MitoAction. She is the current President of the Mitochondrial Medicine Society and a member of the Society for Inherited Metabolic Disorders and the Child Neurology Society, where she helps plan the Neurogenetics Special Interest Group meetings. She has received several awards for patient satisfaction, including Best Doctors in Pittsburgh Magazine. She has contributed to recent literature on the diagnosis, management, and consensus criteria for mitochondrial disease. She was also involved in the completion of the Common Data Elements for Mitochondrial Disease through the National Institutes of Neurological Disorders and Stroke. She has reviewed articles for journals including Pediatric Neurology and Journal of Child Neurology. Her current interests are in conducting clinical trials for patients with genetically confirmed mitochondrial disorders. Figure 1, from the Society of Inherited Metabolic Disease (SIMD), shows the five complexes (Roman numerals I – V). As electrons pass down the chain from complex to complex, protons are pumped across the inner mitochondrial membrane. This electrical gradient allows for the generation of ATP in the final step. The figure also indicates that the complexes are made from several proteins. Complex I is the largest with 46 subunits. Figure 1 also demonstrates how most of the complexes are made from a combination of mitochondrial encoded and nuclear encoded genes. The OXPHOS chain uses our food (broken down by metabolism) and oxygen to make water, carbon dioxide and ATP. Like any wasteful factory, the defective ATP factory of the mitochondria can produce “black smoke” known as reactive oxygen species (or oxygen free radicals). These free radicals cause cell damage. Treatments are aimed at helping the mitochondria produce more ATP or to limit the damage of these free radicals with antioxidants. 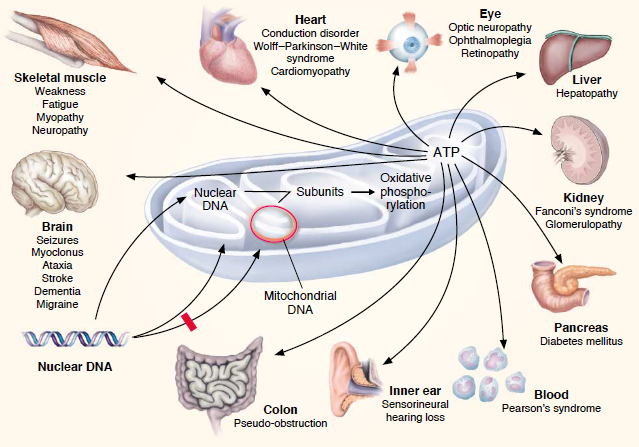 Another role of the mitochondria within the cell is apoptosis, or programmed cell death. What is the definition of this disorder from the context of how it differs from a healthy state? Children and adults with mitochondrial disease will have a variety of symptoms. Due to the complexity of the genetics involved, sometimes people in the same family (such as two siblings or mother and child) will have the same genetic mutation (genotype) but very different symptoms (phenotype). Conversely, two people may have similar symptoms caused by different genetic mutation. An example of this is Leigh syndrome pronounced Lee), which is caused by mutations in more than 60 different genes. Symptoms are generally those of energy failure and may affect a single organ or involve three or more organs (multi-systemic). In general, children have a more severe presentation than adults. What’s the range of disorder severity? The disease severity can be mild to severe in any given patient. This is true even for those disorders that in the past have had a poor prognosis, such as Leigh syndrome. The person affected by mitochondrial disease may experience worsening of symptoms especially during times of metabolic stress (infection, fasting, and surgery) and may not return to their previous level of functioning. People may also be stable for years without any progression of symptoms. In certain disorders, the natural history and prognosis is better known. In mtDNA disorders, symptoms depend on the percentage of mutation and which organs have the mutant mitochondria. For example, patients with the common A3243G mutation can cause MELAS (mitochondrial encephalomyopathy with lactic acidosis and stroke-like episodes) at higher mutation loads, and the syndrome known at MIDD (maternally inherited diabetes and deafness) at lower mutation loads. We refer to the mutation load, or percentage of mutated mtDNA, as heteroplasmy. The percent heteroplasmy typically needs to reach a certain threshold to manifest specific symptoms. Below, in Figure 2, is an example (courtesy of NAMA SIMD), of the symptoms that develop as the mutation load increases for a mitochondrial disease from the T8993G mutation, causing either retinitis pigmentosa, NARP (neuropathy, ataxia, retinitis pigmentosa), or MILS (maternally inherited Leigh syndrome). In the above discussion, the A3243G and T8993G refer to the position and mutation in the mtDNA. The DNA bases are numbered 1-16.569 and 3243 and 8993 refer to the position where these mutations occur. A is changed to a G to cause this disease. Our DNA is a 4 letter code: A, G, C and T. Figure 3 below (courtesy of SIMD NAMA, originally published by Drs. DiMauro and Schon) shows the circular mtDNA and the positions of mutations causing different disease states. There are over 200 mutations reported in the mtDNA. Can my child die from this condition? In some cases, mitochondrial disease is fatal, depending on the clinical symptoms and their severity. Complications can arise, especially in children who have significant neurologic problems, which can put them at risk for aspiration and respiratory depression. Seizures are a common symptom and pose some risk of a life-threatening event if there is oxygen deprivation or a fall during a seizure. There are commercial labs that can do both mtDNA and nuclear gene testing for mitochondrial disease. Prior to genetic testing, the physician or treating clinician must suspect mitochondrial disease. The common saying for mitochondrial disease has been “any symptom, any age, any organ system, and any mode of inheritance”. There is typically a progression in the severity and number of organs affected. It is typical for families to be on a diagnostic odyssey for several years before being diagnosed. A person may present with classic symptoms (i.e. a child with short stature, ptosis, and a cardiac arrhythmia may have Kearns Sayre syndrome; a teenager with a stroke-like episode, high lactic acid in blood, and a history of hearing loss and diabetes is highly suspicious for MELAS). However, children may present with more nonspecific symptoms, such as low muscle tone (hypotonia), developmental delay, or may have a regression in milestones with illnesses. The most common childhood mitochondrial diseases are Leigh syndrome and Alper-Huttenlocher syndrome. In Leigh syndrome, children are typically born healthy. They are well until sometime in the first year of life. Then, typically from a viral illness, a regression occurs, meaning that the child loses skills they have gained. Children develop typical lesions in an area of the brain known as the basal ganglia or brainstem. Leigh syndrome can progress quickly or slowly, but many children have low muscle tone, developmental delay, and may have trouble swallowing or breathing on their own. In Alper-Huttenlocher syndrome (sometimes called Alpers disease), characteristics include brain atrophy, epilepsy, and neurologic regression. Other organs that can be affected include the eyes, liver, and muscles. Did anyone (did I) cause this? Mitochondrial disease is hereditary. When the disease is caused by mutations in the mtDNA, it is maternally-inherited. This situation occurs because all mitochondria come from the mother. 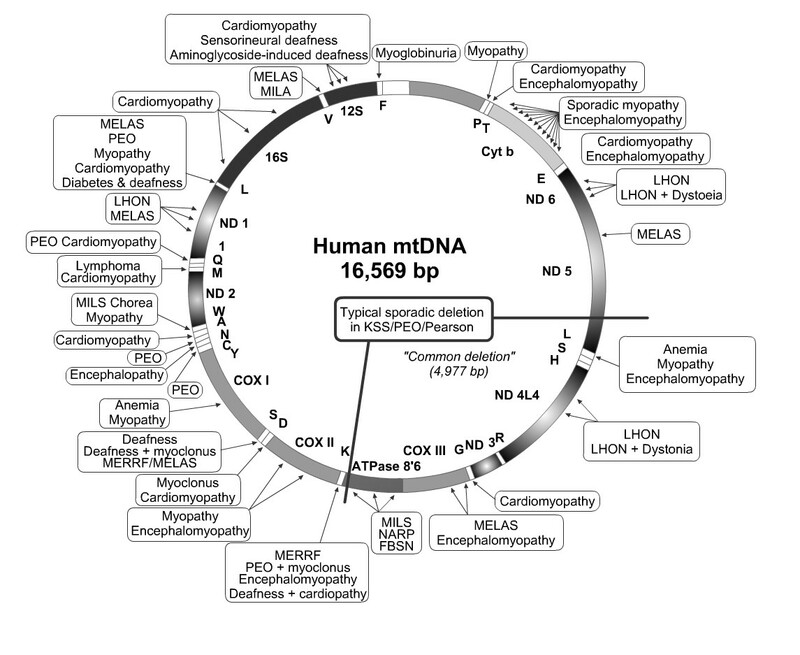 However, mtDNA disease is about 20% of all mitochondrial disorders. Symptoms tend to occur in older children and adults. An exception is Kearns-Sayre syndrome which is caused by a large deletion of a piece of mtDNA. This condition is typically sporadic and not maternally-inherited. Nuclear-encoded mitochondrial genes are mutated in 80% of all disease and tend to present at an earlier age. Most of these are autosomal recessive, meaning that mom and dad are both carriers of the mutation (usually without symptoms) and that 25% of the children they have may inherit both mutated genes. Some nuclear gene mutations may be autosomal dominant. This means only one mutation (from one parent) is needed to cause the condition. Sometimes mutations are inherited from a parent and sometimes they are de novo, or new, not coming from a parent. Can a child have more than one disorder? A child could have many symptoms or disorders due to their mitochondrial disease, or could have only one organ affected. An example of a mitochondrial disease that affects only one organ is called LHON, or Leber’s hereditary optic neuropathy, which causes vision loss but rarely other symptoms. Children with mitochondrial disease may “crash” from a physiologic stressor, such as infection, dehydration, surgery, or anesthesia. Emergency protocol letters are available on-line that can be tailored to a patient so that the parents/ caregivers may present the letter to any clinician caring for that child during the emergency. See http://www.umdf.org/site/c.jtJWJaMMIsE/b.4090609/ for examples. For specific anesthesia concerns, please see the paper by Niezgoda J, & Morgan PG in the References Section. Is neuro-imaging used to diagnose this disorder? Neuro-imaging can be helpful in the diagnosis of mitochondrial disease. Magnetic resonance imaging (MRI) of the brain is a test commonly ordered for developmental delay, seizures, low muscle tone, or stroke-like episodes. MRI can detect classic features of mitochondrial disease such as Leigh disease, where a part of the brain called the basal ganglia may show symmetric damage. Other findings that may not be specific to mitochondrial disease include atrophy, white matter disease, and strokes. When clinicians see strokes that fall outside a blood vessel distribution, mitochondrial disease may be suspected. These are called metabolic strokes. A special addition to MRI is called magnetic resonance spectroscopy (MRS). MRS can look at the chemical content of different areas of the brain, including elevations in lactate. Elevated lactate can be seen in mitochondrial disease but also in tumors, strokes, and prolonged seizures. A complete blood count (CBC) and comprehensive metabolic panel can check electrolytes, and liver and kidney functions. Urine can be sent for amino acids and organic acids. Spinal fluid can be sent for glucose, protein, cell count, lactate, amino acids, and neurotransmitters. 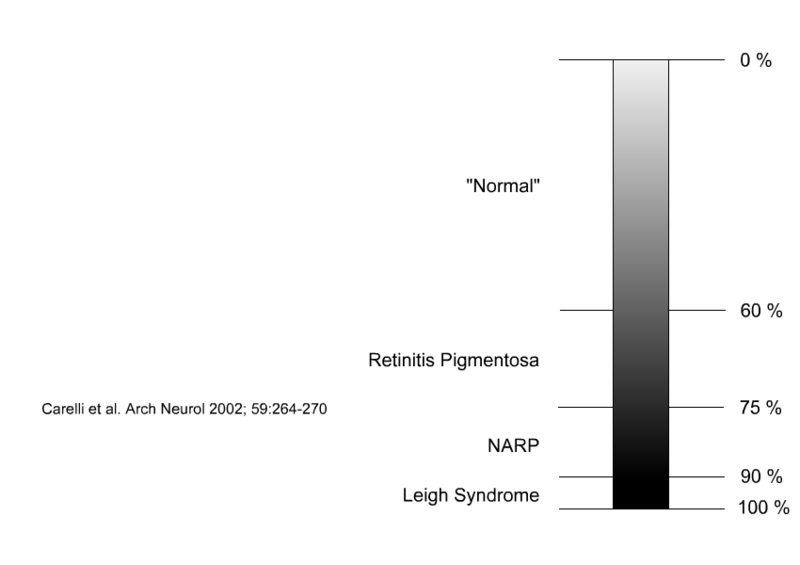 Genetic studies can be sent for mtDNA (common mutations or full sequencing and deletions), nuclear DNA genes (single gene, grouped as a panel to a specific condition such as all Complex I genes, or all known nuclear genes), or both mtDNA and nuclear DNA genes on a single panel known as dual massive parallel sequencing. the gene was detected but the bioinformatics (sifting through probable disease-causing genes) dismissed the result. Although more than 1,000 genes are involved, the actual number of patients with a single disease causing mutation is only a handful at any one testing center or medical center. Additionally, only a handful of genes may have more than 10 patients described with that particular gene causing disease. mtDNA mutations are unique in that some may not be found easily in the blood, especially as one gets older. Some mitochondrial diseases are very organ specific. Therefore, there are times when urine sediment (for MELAS) or muscle biopsy (for KSS deletions) needs to be performed to find the mtDNA mutation. This is because the mutation load (or heteroplasmy) may be different from tissue to tissue. Sometimes a skin biopsy can be performed instead of muscle biopsy in order to evaluate the Complex I-IV activities. Using fresh muscle to frozen muscle has advantages in that additional testing, such as respirometry or oxygen consumption, can be performed. However, there are only a handful of labs that perform these sophisticated tests. For a listing of laboratory studies, issues, and muscle testing, please see the Mitochondrial Medicine Society Web page listed at the end. Some insurance companies do not cover genetic testing. Some do not cover certain portions of the neuro-imaging, such as the MRS (spectroscopy). A case manager at the patient’s insurance company may be able to help acquire coverage. At times, the ordering clinician can appeal the medical necessity of a test to the insurance company. .
Will the tests need to be repeated? If so, how often? Experts discuss this question frequently. It may depend on which mitochondrial disease the child has and the symptoms that could be progressive and therefore must be followed over time. For example, children with Kearns Sayre syndrome are at risk for cardiac conduction defects. They need to be closely followed with EKG monitoring. These are checklists of typical symptoms, family history, findings on exam, biochemistry, neuro-imaging and lab testing. However, these were developed before the now available genetic testing. Additionally, many conditions can look like mitochondrial disease, and even cause complex deficiencies in OXPHOS, but due to gene mutations in a gene not primarily involved in the mitochondrial OXPHOS system. Examples include Rett syndrome, Angelman syndrome, and some of the channelopathies (SCN1A causing epilepsy) that further confuse the picture. Currently, there are no proved therapies for mitochondrial disease. However, there are currently several ongoing clinical trials, with several more in discussion now and soon to open for enrollment. An excellent resource for clinical trials can be found on www.clinicaltrials.gov. In addition, every mitochondrial disease patient should be participating in a patient registry. The patient registries will serve to help us understand the natural history of some of these disorders. Additionally, it can help locate patients quickly if a clinical trial is announced. There is a patient registry available through the North American Mitochondrial Disease Consortium (NAMDC) with sites throughout the US and Canada, as well as a patient populated registry through the United Mitochondrial Disease Consortium (UMDF). Please see list of websites in the References section. Although there is no proven treatment, early treatment of symptoms can improve overall function of the child. Appropriate seizure management or spasticity management can limit further disability. The effectiveness of a particular treatment will vary depending on the gene mutation and severity of symptoms. In some patients, the treatment can be specifically tailored and will be more effective than when treatment is “empiric”. For example, levocarnitine may be more beneficial in a patient with a documented deficiency than someone who has normal levels. Another example is folinic acid, or leucovorin, which should be considered for some patients with mitochondrial disease. In particular, those with KSS or POLG mutations, which have symptoms from a secondary cerebral folate deficiency, can document with cerebrospinal fluid (CSF) testing if desired prior to supplementation. In general, it is difficult to predict the response to vitamins or supplements. Many patients have heard of the “mitochondrial cocktail”, which is one or more vitamins/supplements that have been utilized in patients. Some of these have not been tested in a double-blind randomized trial (which is recommended). For those that have been tested, they’ve been proven to not work better than placebo. However, there are many anecdotal reports of a certain supplement helping, so many clinicians will start one or more. Treatment may be beneficial and noted immediately to be helpful or take a few months to notice its effectiveness. In some cases, the treatment may not have any noted benefit but could be helpful to stop disease progression. Some patients may not have any benefit at all. It can be helpful to determine in advance what parameter or symptom could be measured and to tell as few people as possible about the intervention. An example of measuring effect can be how long a child can walk at the mall or at the zoo before getting tired. If few people are aware, they are kept as “blind” observers to your trial. Getting positive feedback is more valuable than if the same feedback came from someone who knows the child is on a new vitamin. Another issue that can make it difficult to determine is that some patients have “good days” and “bad days,” so trying to follow daily differences could be difficult. Some doctors may not recommend any vitamins, while others could recommend a list of 10 or more. It was noted in a recent survey, published by the Mitochondrial Medicine Society (in Reference section of this paper), there is little consensus on this issue. For example, not every clinician utilizes the same “cocktail”. It can be hard for patients, families and clinicians to know if the supplement is helping. Additionally, clinicians are not sure if measuring blood levels is helpful or if there is a certain form or brand of one vitamin that is better than the others. They also know that getting vitamins and supplements covered by insurance can be very difficult; some vitamins are relatively expensive. Also unknown is how many and which vitamins patients should be taking. It can be difficult for families to administer all of these to a child. At this point in time, the vitamin/supplement issue if complex. The Office of Dietary Supplements at the National Institute of Health (NIH) will be holding a special meeting to discuss these issues in December 2014. This meeting’s intent is to shed more light on clinicians’ knowledge and recommendations. A rare mitochondrial disease known as MNGIE has been treated with bone marrow transplantation and these clinical trials are ongoing. At this point, there is no other stem cell or bone marrow transplant treatment for mitochondrial disease. There is no enzyme replacement therapy yet available for a mitochondrial disease. Another therapy attempted for mitochondrial disorders are hyperbaric oxygen chambers (HBO). However, there is potential harm from HBO. HBO tends to generate more oxygen free radicals, which is already problematic in mitochondrial disease. Symptomatic treatment is available for some of the issues patients face, such as anti-seizure medications or medications for constipation/gastroesophageal reflux disease (GERD). Physical therapy, occupational therapy, speech therapy, vision therapy, and developmental therapy are all indicated for developmental delays, spasticity management, and overall rehabilitation. School-aged children would benefit from neuropsychologic testing when appropriate. School support via a 504 Education plan or Individualized Education Plan (IEP) would also be helpful; parents may need the help of the school guidance counselor or an education advocate to access necessary school-system supports. Several other clinical trials are in the design phase. Patients and families are encouraged to participate in a patient registry so that they can be informed of access to an appropriate clinical trial. Families and caregivers are encouraged to routinely check www.clinialtrials.gov for this information. Medications should be discussed with a patient’s routine clinician as this must be an individualized decision. One of the medications that needs to be used with extreme caution is valproic acid for epilepsy in the patient who has (as yet to be diagnosed) Alpers syndrome. Exercise is emerging as a powerful potential therapy for mitochondrial disease, but must be done in a supervised manner by both the clinician as well as a physical therapist. The exercise should start low and go slow. Research is being conducted on the amount and length of endurance (aerobic training) and resistance (strengthening) training. Endurance training helps to prevent deconditioning and improves the number of mitochondria a patient has by stimulating mitochondrial biogenesis. Resistance training may help improve the number of damaged mitochondria in the muscle for certain disorders. Prognosis depends upon which disorder, which symptoms and the severity of those symptoms. Some of the conditions we thought were uniformly progressive and fatal are not (Leigh syndrome, for example). Some of the conditions in early childhood are reversible (i.e. a specific myopathy and a specific type of liver failure). More research needs to be done so that clinicians learn the natural history for these conditions. Patient participation in bioregistries is vitally important, as well as global collaboration so that data can be pooled from every country. Individually these conditions may be rare, but collectively the numbers reach an estimate of 1:5,000 people. What is the prognosis with treatment? There is no proved treatment for mitochondrial disorders. The prognosis is unpredictable without treatment; this is why natural history studies for each condition are so important. If one of the potential therapies is approved by the FDA, clinicians will then need to follow the natural history of the disorder to see how the prognosis changes. Clinicians are working together to establish agreement in what symptoms or tests should be followed during a clinical trial with an intervention. This procedure is referred to as “outcome measures.” Clinicians have learned from numerous studies performed, without proving an effective therapy, which the correct outcome measure needs to be selected for the trial. Otherwise, a medication could appear to be ineffective when in fact it could be effective. The National Institute of Neurological Disorders and Stroke is currently developing Common Data Elements for Mitochondrial Disease to be used in design of future clinical trials. What’s the likelihood that a child will be able to function in an independent capacity as an adult? The answer to this question depends on which mitochondrial disease the child has and what organs are affected. Is it possible to grow out of the disorder? While rare, there are a few cases of a child outgrowing the symptoms in childhood. These include reversible COX (Complex IV) myopathy, TRMU reversible liver failure, and children who outgrow Pearson syndrome (bone marrow and exocrine pancreatic failure). However, children who outgrow Pearson syndrome and the need for transfusions, typically develop symptoms of Kearns-Sayre syndrome within a few years. It then becomes necessary to manage the symptoms of that disorder. How will this disorder affect daily life, activities and development? Most patients with mitochondrial disease are affected in their daily lives. Fatigue and exercise intolerance can contribute to the overall quality of life that a patient experiences. Again, each person will have an individual experience based on which disorder, what symptoms, and their severity. Some children have slow development and might never achieve the ability to walk and talk. Others may have learning difficulties in school. Others might be fine, but then suffer from stroke-like episodes and lose physical ability and sight. How will the disorder affect the child’s ability to learn and grow? Children can have both learning disabilities and developmental disabilities due to mitochondrial disease. Children might also have poor growth and need a feeding tube placed in order to receive the necessary calories for growth. How will this disorder affect their school life and what does the school/teacher need to know to maximize their educational experience? The Web site also contains further information about Individualized Education Plan (IEP) and other educational information. What will need to be done on a daily basis? Can diet or exercise lessen the symptoms? We have learned that both aerobic activity and resistance training (weight lifting) can be beneficial to patients with mitochondrial disease; however, exercise should be supervised and guided by a physical therapist familiar with mitochondrial disease. Many patients have exercise intolerance and fatigue, which can make exercise particularly challenging, yet therapeutic. There is no specific recommended diet for mitochondrial disease. Some doctors will prescribe the ketogenic diet in particular for epilepsy, but this needs to be closely monitored in mitochondrial disease patients, as fatty acids are processed in the mitochondria as well, and some people may have a secondary problem with this type of metabolism. If a metabolic dietician is available, a consultation may provide individual approach to diet, and possibly help some symptoms. One of the therapies that is being investigated includes “donor mitochondria”. If a woman has an mtDNA mutation, she has the possibly of passing any amount of mutated mitochondria to her future children (see Figure 5, courtesy of SIMD NAMA). Using anin vitro fertilization technique, the nucleus of the egg (with the mother’s DNA) can be placed into a donor egg that has had its nucleus removed. In this way, a woman can have her own biological children with the exception of her own mtDNA. This would reduce the transmission of mutated mtDNA. Are there organizations or support groups I can contact? Goldstein A, & Wolfe LA. The elusive magic pill: finding effective therapies for mitochondrial disorders. Neurotherapeutics2013:Apr;10(2):320-8. Haas RH, Parikh S, Falk MJ, Saneto RP, Wolf NI, Darin N, & et al. Mitochondrial disease: a practical approach for primary care physicians. Pediatrics 2007:Dec; 120(6):1326-33. Mitochondrial Medicine Society’s Committee on Diagnosis. Haas RH, Parikh S, Falk MJ, Saneto RP, Wolf NI, Darin N, & et al. The in-depth evaluation of suspected mitochondrial disease. Mol Genet Metab. 2008:May;94(1):16-37. Niezgoda J, & Morgan PG. Anesthetic considerations in patients with mitochondrial defects. Paediatr Anaesth 2013:Sep;23(9):785-93. Parikh S, Goldstein A, Koenig MK, Scaglia F, Enns GM, & Saneto R. Mitochondrial Medicine Society Clinical Directors Working Group: Clinical Director’s Work Group. Practice patterns of mitochondrial disease physicians in North America. Part 2: treatment, care and management. Mitochondrion2013:Nov;13(6):681-7. Parikh S, Goldstein A, Koenig MK, Scaglia F, Enns GM, Saneto R. Mitochondrial Medicine Society Clinical Directors Working Group: MMS Clinical Director’s Work Group, Anselm I, Collins A, Cohen BH, DeBrosse SD, Dimmock D, Falk MJ, & et al. Practice patterns of mitochondrial disease physicians in North America. Part 1 diagnostic and clinical challenges. 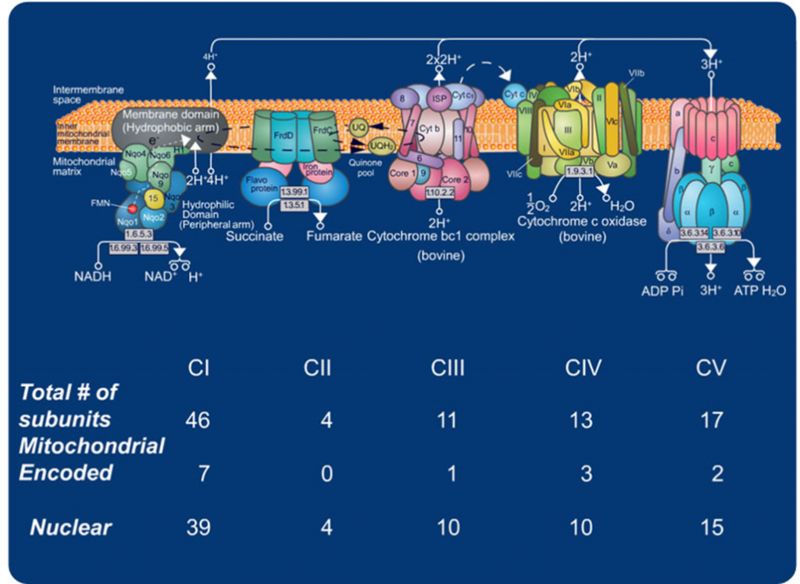 Mitochondrion2014.:Jan;14(1):26-33. Parikh S, Saneto R, Falk MJ, Anselm I, Cohen BH, & Haas R. Medicine Society TM. A modern approach to the treatment of mitochondrial disease. Curr Treat Options Neurol 2009.:Nov; 11(6):414-30. Saneto RP, Lee IC, Koenig MK, Bao X, Weng SW, Naviaux RK, & et al. POLG DNA testing as an emerging standard of care before instituting valproic acid therapy for pediatric seizure disorders. Seizure 2010:Apr; 19(3):140-6.